Incepted in Chennai, Tamil Nadu (India) in the year 1997, we, Sai Arc India Pvt Ltd, has achieved a strong profile in national and international industries as an eminent manufacturer, Exporter, Importer and Trader of CNC Cutting Machines, TIG Welding Machine, MIG Welding Machine, ARC Welding Machine, Digital Controlled Welding Machines, Spot Welding Machines, Welding Accessories, etc. Our entire range of Welding and Cutting products is widely acknowledged for their high performance & extreme quality. These are available in various specification and functionality options. As to fulfill the requirement of several small scales to large scale industries we have a wide spread Infrastructure that consists of several units such as manufacturing unit, quality analysis unit, supplying & export unit and warehouse and packaging unit. We use latest technology and excellent quality material in our entire range of Welding and Cutting products as to ensure very low operating cost and less maintenance. We have latest technology and high performance Machines at our production unit that are capable of handling bulk of processing tasks. In order to provide smooth flow of production and trade we are backed by the team of expert engineers, supervisors, technicians, quality checkers and many more professional workers who are guided by our expert mentor Mr. Sai Shanmugam who have wide expertise in their respective domain with respect to Welding and Cutting Systems. His immense industrial experience and business acumen has helped us to make excellent profile and growth of our organization in international market. We are one the renowned client-oriented organization and understand the requirement of our esteemed clients throughout the world. Our complete range of Welding and Cutting products is widely appreciated by our valuable clients throughout the world. Owing to the dimensional precision, durable standards, perfect design and corrosion resistant finish, our product range is highly demanded all across Indian Subcontinent, Australia/NZ, East Europe, Central America, North Europe and South/West Europe and all over the world. Emerged as one of the leading quality driven organization, quality is our prior aim which results in our esteemed clients satisfaction. We understand the requirement of valuable clients and supply all the products as per their requirements. 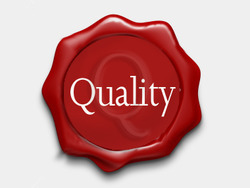 We have a team of quality experts and professional who have gained wide expertise in providing excellent quality and robust performance Welding and Cutting products with certain quality standards that meets certain international and national quality standards. To achieve the distinction of the first choice among automotive and engineering Industries through leadership and grow in people’s strength in 10 times the numbers in next decade. Sai Arc India Pvt Ltd seeks to create a more prosperous society through providing exceptional product & services and grow in strength with the people. In order to provide smooth flow of production and trade we are backed by the team of expert engineers, supervisors, technicians, quality checkers and many more professional workers who are guided by our expert mentor “Mr. Sai Shanmugam” who have wide expertise in their respective domain with respect to Welding and Cutting Systems. His immense industrial experience and business acumen has helped us to make excellent profile and growth of our organization in international market. We are engaged in customization of these products in various specifications as per the requirement of our esteemed clients. We do quality checking and performance measure inspection of these products under various parameter ensures maintained quality and robust performance. We Sai Arc India Pvt Ltd understand the requirement of valuable clients and supply all the products as per their requirements. We have a team of quality experts and professional who have gained wide expertise in providing excellent quality and robust performance Welding and Cutting products with certain quality standards.